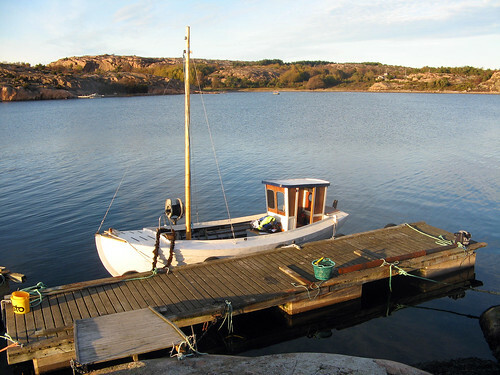 I’ve been in West Sweden for the past 3 days, bouncing around on boats, looking for some of the world’s best seafood. It’s a hard life. 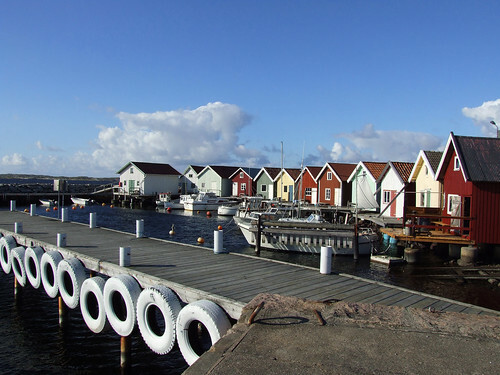 Most people apparently visit Sweden in June, with the peak tourist season lasting just 4 weeks a year – hardly ideal for some of the Swedish people who make their living from the influx of visitors. It’s crazy really, because the place is staggeringly beautiful in the late summer/early autumn. 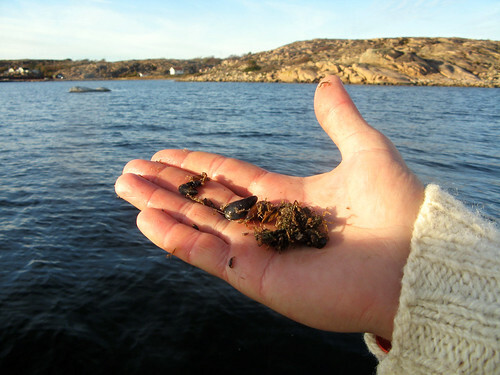 The West Sweden tourist board want to encourage people to visit all year round, which is why they invited me on a ‘culinary tour’ including 3 ‘seafood safaris’; we would look for mussels, lobster and oysters and we would devote an good amount of time to eating them. Don’t mind if I do. Mussels first. 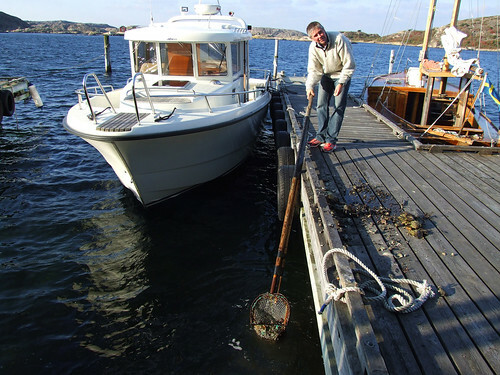 We departed by boat from Lysekil with mussel-keeper Adriaan van Der Plasse who was, I was pleased to note, wearing a classic ‘Salty Sea Dog’ jumper. Very Captain Birdseye. Loved it. 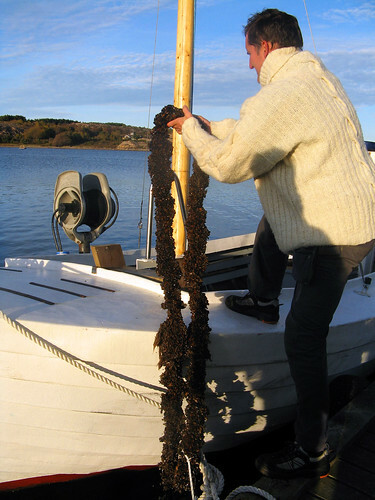 He took us out to what is essentially a big pipe with nylon stockings hanging off it; the mussels are ‘sown’ into the stockings and then dangled into the sea where they grow for 2 years in the nutrient-rich waters until mature enough to sell. The sight of those nylon stockings emerging from the water is quite a thing, let me tell you. Millions of tiny anemones (I think), like miniature shrimp, twist and squirm alarmingly on the stockings. Here’s a video of the spectacle that my friend made. After looking at the baby mussels, we clambered up onto a rocky island to lunch on the adults. 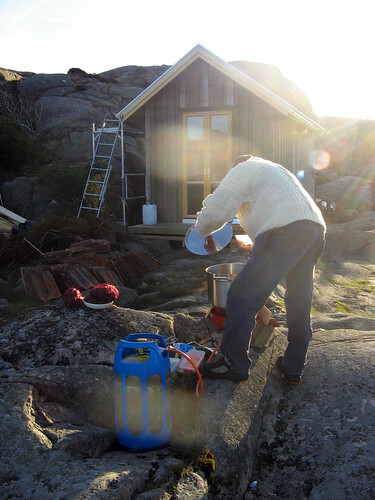 Adriaan had a portable gas stove set up and he cooked the freshest mussels very simply with leeks, carrots and white wine. They were so sweet. 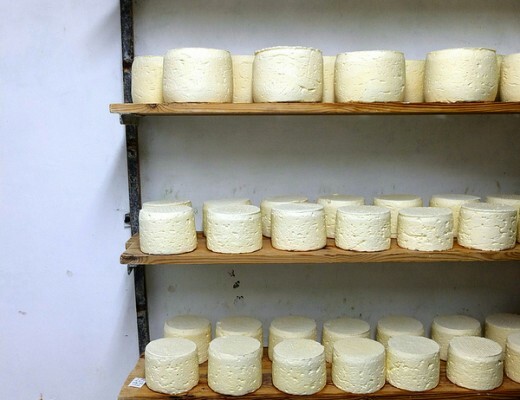 We sat eating them and drinking wine, taking in the idyllic scenery. There was carrot cake and coffee for dessert, too; the Swedes love cake and coffee so much that they have a special name for cake and coffee time – ‘Fika’. Adriaan and his companion were, like everyone we met in Sweden, incredibly friendly, healthy, weathered-looking people, eager to answer questions about the food and the country. Everyone speaks English. 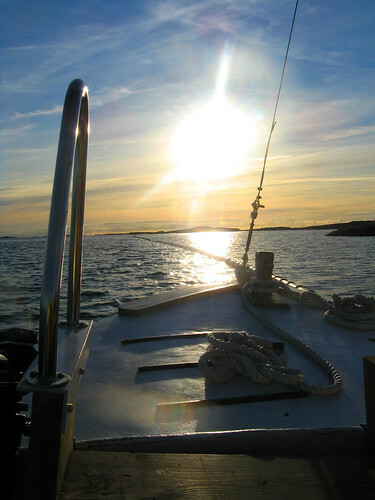 This was a blissful start to our adventure; I remember feeling totally relaxed, something I haven’t felt in a while. Well, not since my jolly to Spain er, 2 weeks ago. Ahem. Details: Our mussel safari was organised by Orust Shellfish and was a shorter version of the usual 5 hour tour. The full tour costs £76 pp. 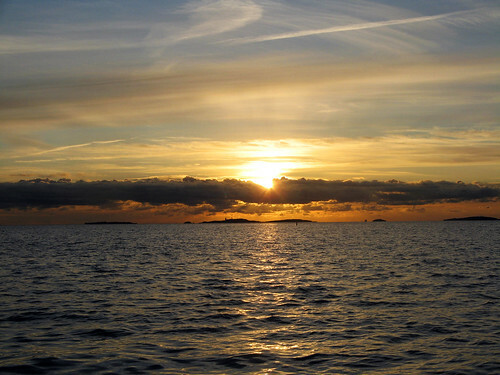 You can also organise it as part of a package with a stay at Strandflickorna Havshotellet, see website here for details. 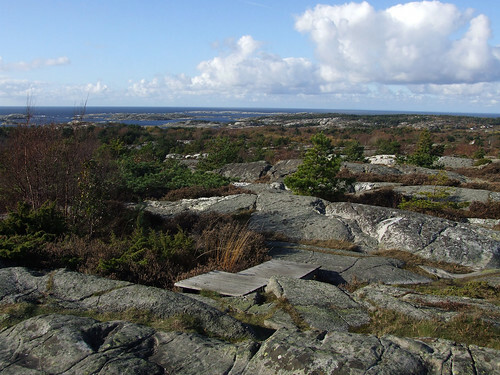 The next day we went off to the enchanting car-free Koster Islands to explore South Koster, much of which falls within Sweden’s first Marine National Park: Kosterhavet. There’s something going on with the meeting of 2 tectonic plates under the water, and there are tons of unique species living there as a result. The planned afternoon safari was the biggy we’d been waiting for – lobsters, although in the end it was decided that a 2.5 metre swell in the sea was just a bit too frisky for a group of lily livered Londoners; we retreated, pulling up some pots the next day instead, from calmer waters. The pots are baited with fish and lowered into the water. 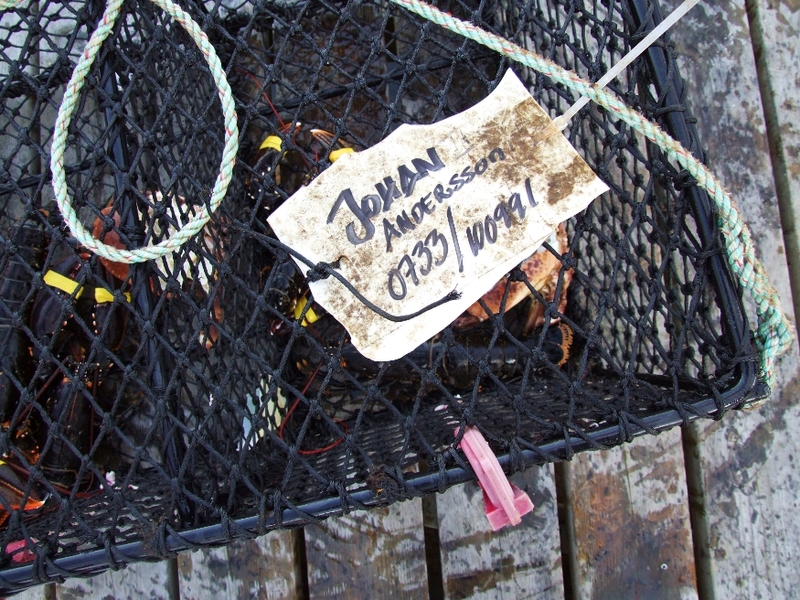 Apparently anyone can catch lobsters (providing they’re Swedish), as you don’t need a license like you do for fishing. 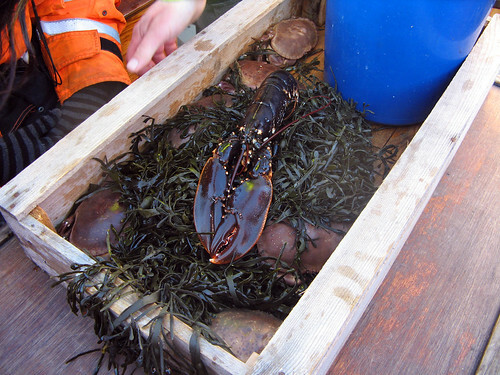 The lobsters like to hang out in the stony areas with lots of little nooks and crannies they can poke about in. 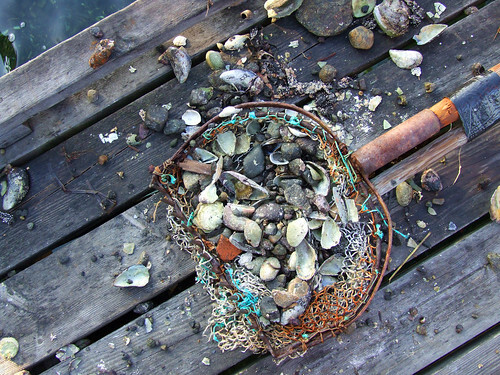 The first pot that came up was just full of crabs, which apparently happens all the time. Obviously crabs are sweet and delicious too, and we enjoyed big pots of them at almost every meal; picking and cracking our way through so many claws, viscera spraying onto hair, eyes and other people’s clothes. 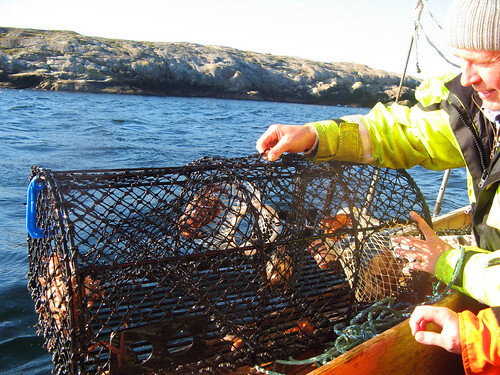 How I do enjoy working over a crab, even if I do always stab myself in the fingers with the equipment. 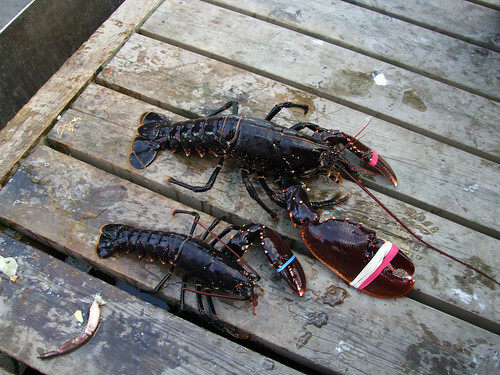 The lobsters fight often with one another and with the crabs too, gnarly little sods; this is why they often lose a claw, then grow a new one, leaving them with one claw bigger than the other. They’re incredibly lively when fresh and the claws need to be banded quickly, as they can take a finger clean off no problem. 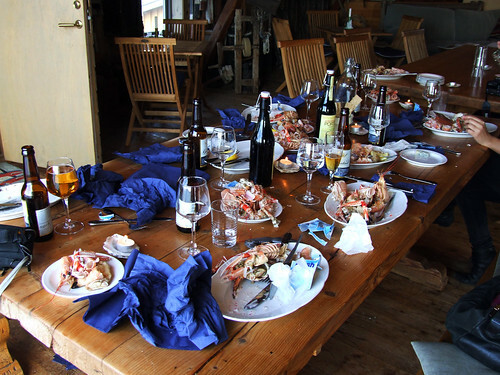 We saw lobsters as big as 2kg but they’re not good to eat at that age – less sweet and juicy.We enjoyed eating the good ones later as part of a 4 course lobster menu at Sydkoster Hotel Ekenäs and you can too. See details below. For the oysters, we travelled out to an adorable restored 19th century boathouse in Grönemad, Grebbestad, built on the rocks and supported on piles of stones, like many of the surrounding houses in the fishing villages. Our guide, Per Karlsson, grew up in Grebbestad and has been selling oysters for over 20 years, if my memory serves. He says the oysters of Sweden are considered by experts as some of the best in the world; I’m no expert but I’ve eaten a shedload and they were definitely up there. They can’t be bought here, in case you’re wondering. He has been asked to ship them further afield but refuses; they’re not plentiful enough and will be past their best by the time they reach destination. 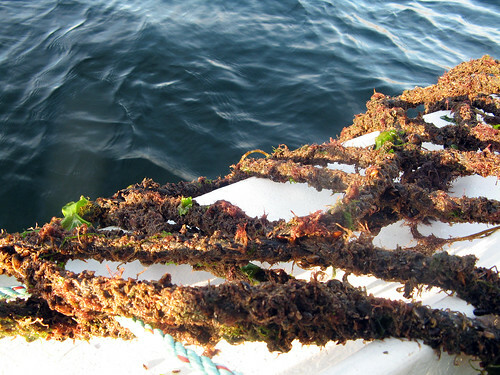 They’re harvested from the natural oyster bed underneath the boathouse using a rake attached to a net. Handy. I asked him if he’d ever been sick from an oyster: “well…only once, and that was because I ate an oyster I suspected may have been almost dead but I just wanted to try finding out.” That’s bloody brave if you ask me. Per said that he never gets sick because the oysters are so fresh and they’re tested every 2 weeks to ensure they’re safe to eat. The Swedes are very concerned with safety, I later learn. We have the opportunity to shuck an oyster (with protective glove) and we eat our fill, washing them down with a locally produced, dark beer I’ve forgotten the name of. 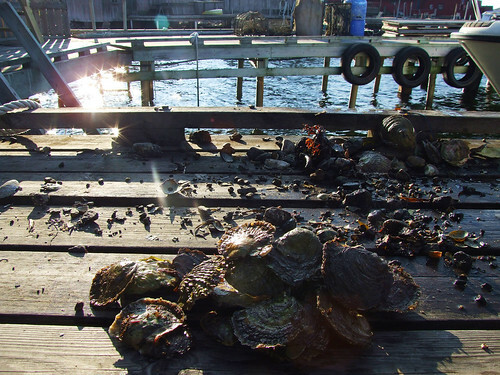 The oysters are round, flat natives; metallic, mineral, saline and boy, do they chase the wind out of a hangover. Six perfectly fresh oysters, plucked from the sea just minutes before and BANG, the hangover is gone. Details: The oyster experience was organised by Everts Sjöbod and there are various packages available. See links here and here. So you can probably tell that I thoroughly enjoyed the seafood journey experience and I think the packages are good value. A major word of warning though: Sweden in general is expensive [edit: see comment from Steph below], particularly if you like a drink (I think you know that I do). A European pint will set you back at least 7 quid and in one restaurant, a bottle of JACOB’S CREEK was over £30. If I were you, I’d book the seafood experiences with accomodation and meals included. 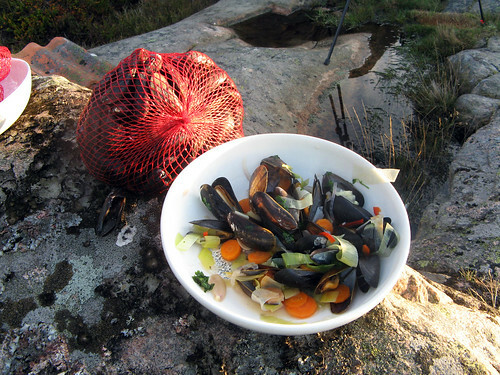 There’s no doubt about it though, Sweden is a stunning country with some of the best seafood available. If you’re an outdoorsy person, you’ll adore it. 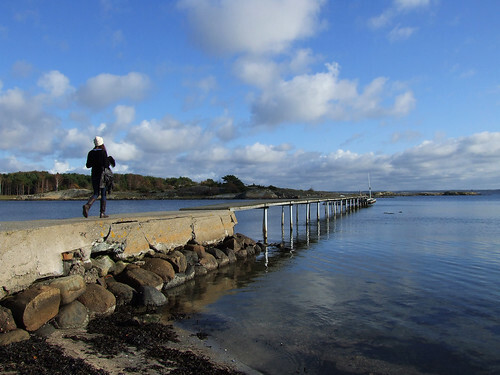 The Koster islands in particular are beautiful and if you do go, try to fit in a cycling tour; there are no cars to worry about and pedalling around with my mates was the most fun I’ve had in ages. Even though I still feel like I’m bobbing about on a boat more than 24 hours later, I’m thrilled to have been invited to experience such a breathtaking country and of course, I had fun stuffing as much fresh seafood into my trap as possible. The details of how I came to find myself dancing wildly in a bar to the sounds of WHAM! and Credence while a Swedish man gyrated in my face shouting “let’s do it for the English girls!” shall go unmentioned. You can see all my photos from the trip in my Flickr set, here. Lovely snaps. What a beautiful country. Wowzers! It looks absolutely beautiful – so serene…and amazing light. Well worth feeling a little seasick for! Yes, totally and utterly serene. I came back feeling very refreshed! Worth the sea sickness for sure. I wasn’t that bad, just have a little motion thing going on now I’m back. I had to stop reading this post sitting at my desk, it made me so sick with jealousy…! Looks glorious, and my mouth is watering at the prospect of such fresh seafood!! HA HA HA HA HA HA. Thanks for that, Pople. What a beautiful post about my native Sweden. After three years in London, I too think it is outrageous that alcohol is so expensive at home. Yes you must have thought you’d hit the jackpot when you came here! Glad you enjoyed the post, it truly is a beautiful country. 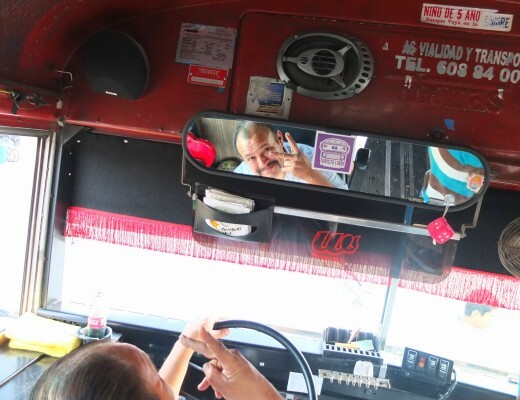 Hi Helen, thanks for sharing your article – glad to see you had such a great time! As you know, I was on the same trip and I just wanted to comment on your point about the cost of beer being £7 in the region – this is actually not the average cost of beer in West Sweden, which is generally priced at around 40 to 60 SEK (£3.80 to £5.70) – very similar to prices in London. The £7 bottle of beer you mention was on offer in the restaurant of the only hotel on a remote island, very close to the Norwegian border. 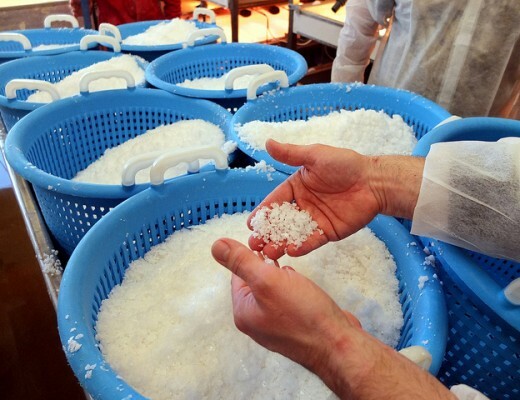 On islands, everything has to be imported and this adds to the overall cost, wherever you are in the world. Thanks again for the article and lovely pics. Oh wow, thanks Steph! I’m sorry, I made a bit of a mistake there. Will point people to this comment in the post. No worries 🙂 just wanted to let you know. Thanks again for the article. Bit unrelated but I’m going to Sweden for a group ski trip in early January. I’ve heard about it being quite expensive (especially alcohol) but what ‘else’ makes it generally more expensive? I think we’ll be self catering most of the week bar probably the last night. Hi Stephen, I’m going to ask the Swedish tourist board for some info on this. Sigh – is it possible to feel homesick for a place where you’ve never lived?! I’m pining for the fjords, I think. ;o) Great shots and a great write-up of our once-in-a-lifetime weekend. It sounds wonderful! Beautiful pics! Thanks, it’s a really beautiful country. you write so beautifully, Helen, makes one want to go there almost immediately. love the photo of the dining table post-dinner- and all the other ones, too. 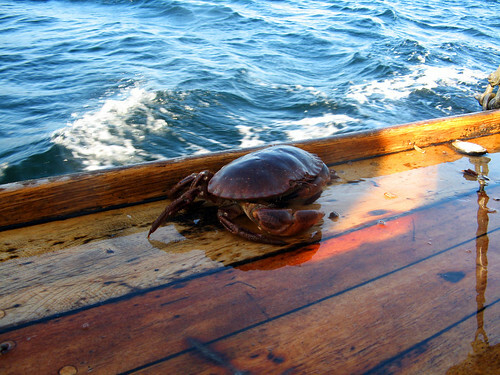 we do ‘crabbing’ in Pakistan (Karachi)- we then cook and eat the crabs on the boat in a special spicy masala- the recipe is a secret- the ‘crabbing-wallahs’ will never divulge the secret! regarding Steph’s comment- i suppose it depends on which country you are comparing Sweden to- i lived in Rome for many years and i can tell you that €7 (SEK60) for a beer would be considered outrageous. so even though it may not be too expensive compared to the UK, it is still expensive relative to several other countries. What stunning pics. Would never have thought of that as a holiday destination but will have to rethink now.